One of the goals people might be working on now is being sure their tax preparation is completed by the April 15 deadline. Once a person has filed the 2018 tax returns, the next best goal to set and accomplish is to make or review your estate plans. With the most complete and current picture of one’s financial affairs in mind, now is a good time to give yourself the “peace of mind” by having a plan that cares for family and the ministries and/or charities that are loved and respected. It is also a good step toward maturing as a disciple of Jesus Christ by setting and accomplishing a goal to strengthen personal Christian stewardship. If you have completed estate plans, when was the last time those plans were reviewed? Of those that complete a will or trust, very few keep them up-to-date. A person’s estate plan is a living document that needs attention on a regular basis after it is completed. Life circumstances change over time and your estate plans should reflect those changes. Here are some key issues to consider in keeping a person’s estate plans relevant and current. 1) People. Relationships with people named in a will or trust may have changed. New people enter lives through births, adoptions and marriages. Others included in an estate plan may not be active in one’s life due to death or divorce. Given enough time, the children that were set out to be cared for with your original estate plans may have grown into adulthood and your estate plans need tweaking to reflect this change. Has anything changed in the lives of the heirs named in your will due to death, mental incapacities, a handicap or serious injury, health problems or change in relationships? Other important people to consider for the same concerns are those you name to serve as fiduciaries to carry out your estate plans such as personal representative of your will, guardian of minors, trustee, or powers of attorney for business and health care. 2) Assets. Since the execution of your will or trust has your estate experienced an increase or decrease in value? Has there been a significant change in income or wealth of the person making the will/trust or a beneficiary? Has there been a positive or negative change in business ventures? Have you added or dropped life insurance since your last review? 3) Places. Have you have moved out of the state in which you executed your will? State laws regarding the execution of wills vary. Consulting an attorney in your new location can help to determine whether your estate plans are still valid. 4) Laws. Tax laws are constantly changing both on the state and federal levels. Recent changes in estate tax laws are very favorable. Does your plan take full advantage? Consult an attorney or estate planning professional to know if your plans are in order with federal and state laws. 5) Time. If you have not reviewed your will in the last three years or more, it is time for a review. The best course of action is to return to your original will, review it and make certain that it is updated according to your changing needs. A wise plan is to make this an annual practice. Doing it after you have filed your taxes gives you the most complete and current picture of your financial affairs. Do not forget that people reaching age 70½ years are required by law to begin taking distributions from their Individual Retirement Account (IRA), 401(k), or other qualified plan. As a person reviews their estate plans, it also becomes a wise time to review any beneficiary designations you made in the past for retirement funds. Estate plans like a will or trust are valuable tools to make a smooth transfer of assets to heirs and ministries upon death. A person’s estate plans should be reviewed and given regular checkups throughout life and certainly, when any major changes have taken place. Keep in mind that your estate plans will be the most important legal document that you will ever sign. Think of it as a way to protect your most precious assets – personal and financial. Make a commitment to honor the Lord as a faithful Christian steward. 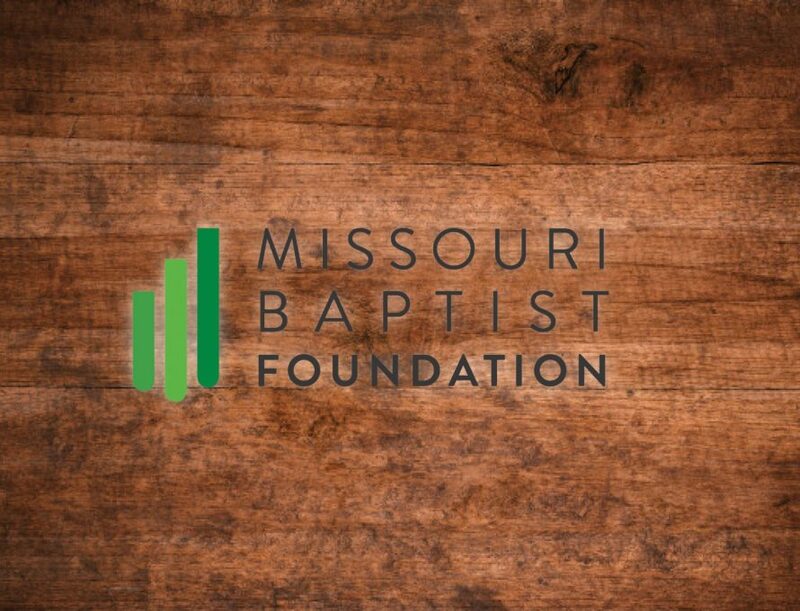 If help is needed in planning and making estate plans, a representative from the Missouri Baptist Foundation is available to help. If you need to review your will, contact the attorney that helped you draft it. If this attorney is no longer practicing law or has died, you will need to find a new one. MBF can be of help in connecting you with an attorney.